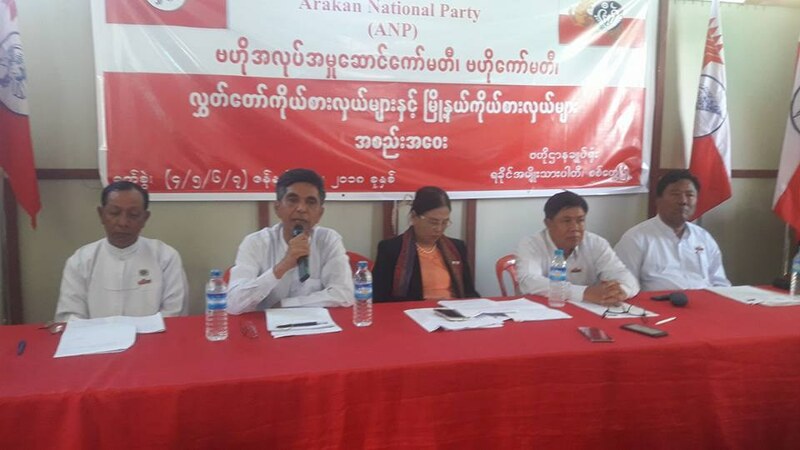 The leadership of the Arakan National Party (ANP) yesterday announced their decision to suspend Dr. Aye Maung from his position as party chairman, despite the fact that Aye Maung resigned as ANP chair over five weeks ago. Tun Aung Kyaw told reporters that they will not appoint a new chairperson in the interim, but instead divide party duties and operations between themselves. The ANP general-secretary confirmed that Aye Maung had not been present during the four-day meeting, though he had been invited. Aye Maung cited “disunity among the leaders of the party” as one of the reasons for his resignation on 27 November. He also claimed that he had been subject to personal attacks by proxies of other members of the party leadership. Regarded by many in his native Rakhine State as the strongman behind the ANP, Aye Maung has been for years one of the most outspoken politicians in the country. 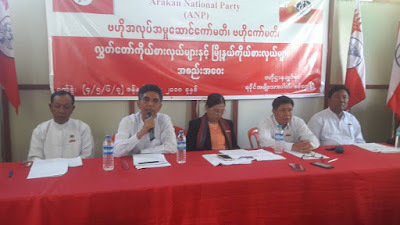 An ex-veterinarian, his political career began when he formed the Rakhine Nationalities Development Party (RNDP) to contest the 2010 general election. He then led the RNDP into a merger with its main regional rival, the Arakan League for Democracy. Negotiations between the two parties took some eight months before they could finally agree to form the ANP as a coalition in January 2014. But the merger has never been a harmonious marriage, being fraught since the outset with rivalries and internal conflicts.